Written for dVerse, the virtual pub for poets, where today Paul asks us to write a contrapuntal poem. The term is taken from the musical world and means counterpoint…a piece of music with two or more independent melody lines. Read this poem three ways (IE three melody lines if you will). 3. from left to right in total – as in all the way through the first line, ignoring the big spaces between the columns; then all the way through the second line etc. Iceberg photos from out trip to Antarctica. Eyes photo from Pixabay.com. We sat beside our daughter at a rough, hand-hewn table that stood on two-by-four legs. At the time, she was studying at the Hochshule fur Musik in Freiburg, Germany. We’d been invited to dinner by her fellow student, Christiana, who’d grown up in what was then East Germany. Christiana’s parents and brother were visiting. And so we joined them in her rural one-room rental, with access to bathroom and kitchen. We brought the wine. The family served a simple meal on mismatched chipped plates. Wildflowers sat in a glass jug. No napkins. No English. And yet we laughed and spoke with our hands and eyes. At times, our daughter translated. I do not remember what was served, nor the aromas. I do remember the simplicity. The open and freely offered friendship across cultures. The sharing of so much more than food. Written for Haibun Monday at dVerse, the virtual pub for poets. Today Toni asks us to write about one of the best meals we’ve ever had. 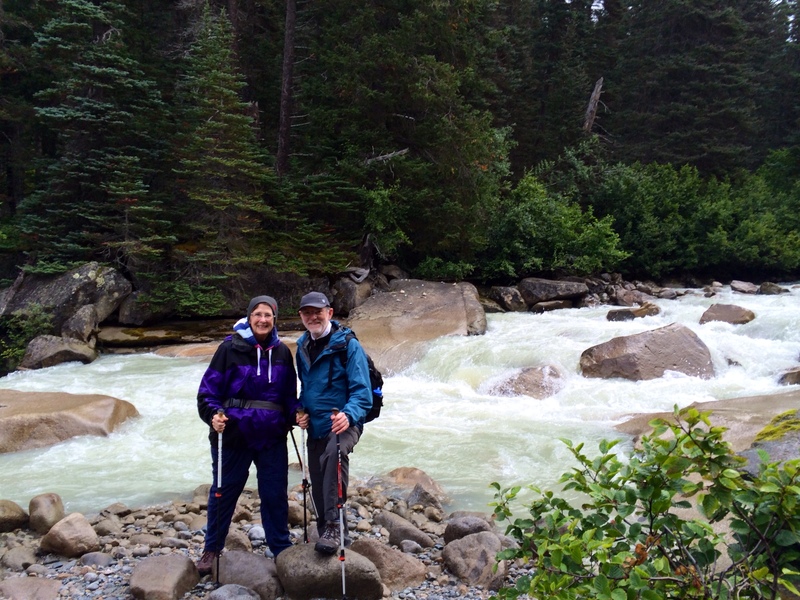 Photo is of us during a glacier hike in Alaska. We eventually got to the foot of the glacier that, through its melting, creates this stream. Pub opens at 3 PM Boston time. Come share a meal with us! How Long Can We Ignore? Alaska weeps daily. Generations of ice, layer upon layer, receding. Our hush, accompanied by the incessant slow drip of her melting tears. sends shock waves through our cold. We turn gingerly, hiking sticks in hand, clamp-ons strapped to boots. Our quiet retreat is nudged by descending mist. A veil to cover her shards. Written for Haibun Monday at dVerse. Prompt is to reach out, write somehow about a silence among us. Photos from our 2015 trip to Alaska. Chunks of ice as the cruise ship approaches Hubbard Glacier; its shelf looks so small here — in reality it is hugely tall and in the sun, appears as this beautiful color. Other two photos from our 5 mile hike to the toe of Laughton Glacier. The close-up is on the toe, rock debris carried as the glacier slowly moves. Look closely, about in the middle of the photo, you’ll see the melting. Incessant melting creating glacier streams. We are all too silent, watching the effects of global warming. If you look with the mind of mother earth, in this place called Alaska, you become the earth. Great calving sheets of ice seen from the haven of a cruise ship. We roar in excitement as you roar in pain. Losing part of yourself to the sea. My boots trek through forest, stumble on tree roots, your uprooted veins. 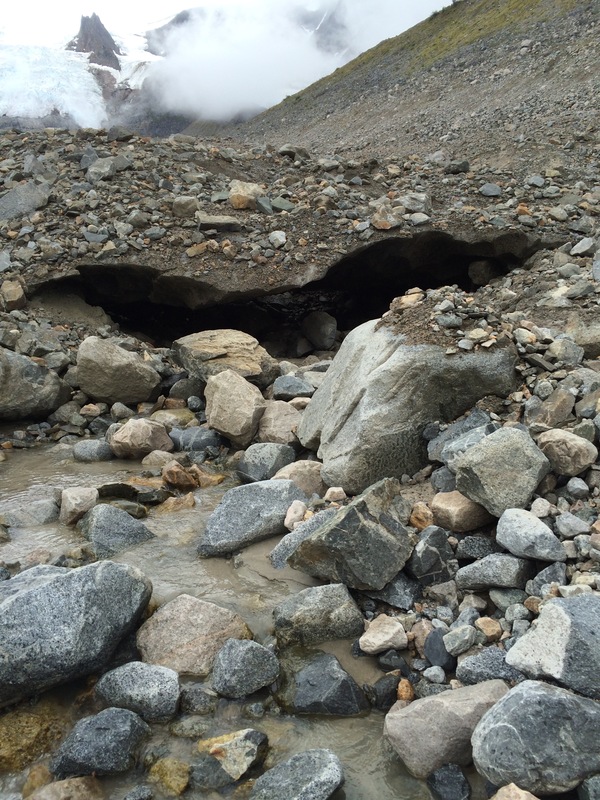 In the midst of rocky debris, at the toe of Laughton Glacier, a new sound. The relentless trickle of water into a glacial stream. Tears unabated, you weep cold rivulets, slowly, through hundreds of generations. And I see. And I hear. Like a jagged shard of ice thrust through my heart. I understand this insidious thing we blithely call global warming. And I am chilled to the bone. A prose poem, in the style of Joy Harjo. 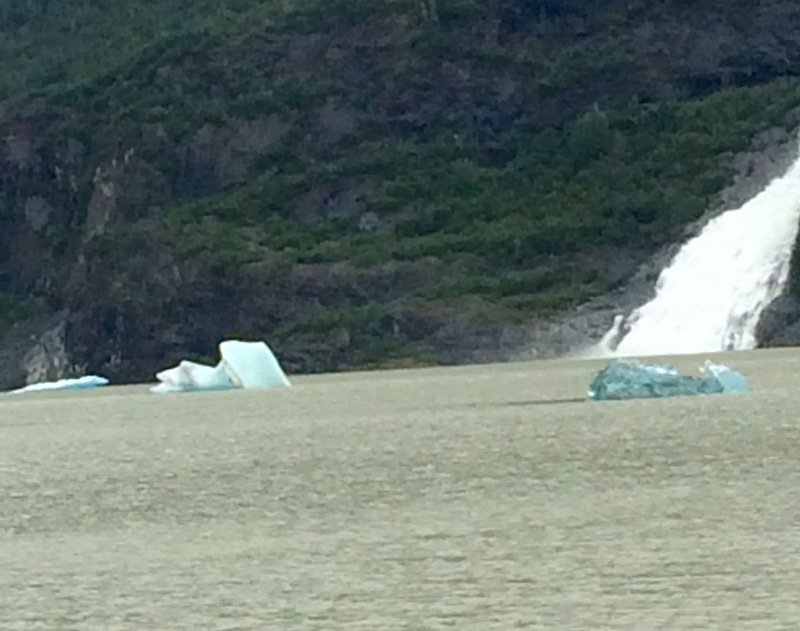 Photos: Top: great slabs of ice shed from Mendenhall Glacier. Above left: standing on the “toe” of Laughton Glacier, after hiking 6.5 miles through Tsongas Forest and climbing through rocks on her debris field. This picture shows a gap — the “black cave” created by the ice melting…continuously dripping. The “rock” above the cave is the ice itself, narrowed from melting. It will eventually collapse into itself. All that you see above the “cave” is ice with debris its carried in its forward path. 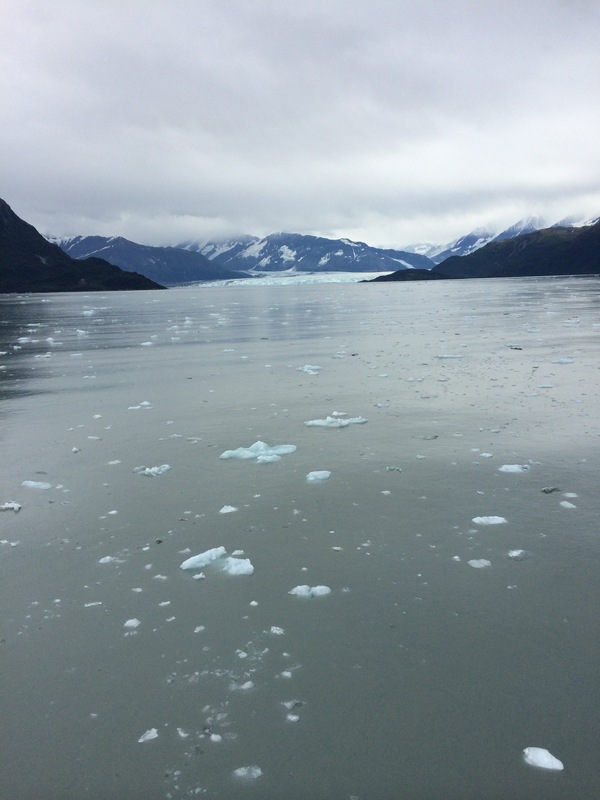 Right: the “ice field” our ship had to go through to get to Hubbard Glacier….which can be seen in the distance. Result of glacier calving. See views of the glaciers themselves with my poem, In the Midst of Glaciers. 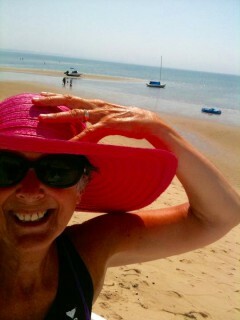 A different take on the Daily Post Photo Challenge: from every angle.